For many of today’s college students, choosing a career that offers opportunities for both professional and personal fulfillment are top priorities. 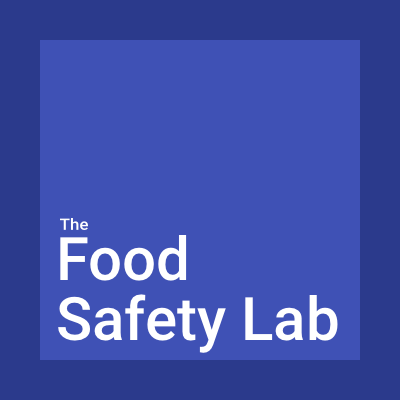 The food safety field offers a unique opportunity to safely feed a growing global population, as foodborne disease is an important cause of morbidity and mortality worldwide. (The World Health Organization estimates 600 million foodborne illnesses, with 420,000 deaths in 2010.) As globalization leads to increased food production, processing, and transportation, hazards once thought controllable are now reappearing, and new ones are emerging. Furthermore, regulations, such as FDA’s Food Safety Modernization Act (FSMA) continue to be promulgated which transform our approach to managing the safety of the food supply. At the same time, maintaining a continuous stream of competent, ready-to-hire food safety professionals is increasingly important as the “baby boomers” retire and the country and indeed, the world, are continually faced with new food safety challenges. Maintaining a Competent Food Safety Workforce. Generally speaking, most employers value a college education when looking to hire, as it can serve as a strong indicator that a candidate will most likely succeed in an entry-level job. However, this traditional viewpoint does not hold true among most employers, as a recent McKinsey study pointed out that only one in four employers agreed that universities are “doing an adequate job of preparing graduates for the workplace”. A similar survey by The Chronicle and American Media’s Marketplace pointed out that universities are lacking the preparation needed for students to be proficient in the workplace with specific attributes like communication skills, adaptability, and the ability to solve complex problems. While formal statistics or measures of competence within the food safety workforce are lacking, there is a growing need for effective education and training to ensure a competent workforce. Specifically, FSMA underscores the need for increased training of food safety officials, and, according to the USDA, it is coping with an insufficient number of trained professionals in food safety and inspection Additionally, there is concern with the lack of available 3rd-party auditors qualified to keep up with the demands of FSMA. Interestingly, the survey by The Chronicle and American Media’s Marketplace provided information on attributes employers seek when evaluating graduates for hire. Experiences gained during postsecondary education were overwhelmingly found to be a more important deciding factor in hiring a student than academic credentials. In fact, GPA ranked near the bottom. Currently, many universities advocate experiential learning beyond the classroom through internships or co-ops to better prepare students for the workforce. These opportunities are well known to offer students a great approach to gain real world experience and make valuable industry contacts that can be essential to gaining the ideal job. How Can Academicians Better Prepare College Students for the Food Safety Workforce? 3) employers value “real world” experiences over academic credentials. From this knowledge, collaborations among the university, the food industry and government entities are ideal to improve learning within the classroom. Academicians seeking to improve their food safety classes should go beyond their office and textbooks and engage with members of the food industry and government to learn what defines a qualified candidate for hire. In light of the ever-changing needs in food safety, as well as recruiting and training needs, postsecondary food safety education curricula that targets the needs of the food industry and government are critical in preparing the qualified candidates. As an instructor of undergraduate and graduate students, I intentionally focus on helping the students understand the "why should I care?" aspect of learning, i.e., "real world" scenarios. Partnerships with food manufacturing companies and entities such as Public Health Innovations offer a unique and effective way to bring practical experiential learning into the classroom. A more relevant curriculum can be developed through activities such as hands-on projects with food safety stakeholders and guest lecturers from those in the field sharing case studies. Moreover, throughout the past five years of teaching, I've met a significant number of seniors and, particularly graduate students, who are interested in food safety, but are lost as to which direction they should proceed after graduation. Public Health Innovations has a wonderful opportunity to help students make connections with food safety professionals and understand existing opportunities to prepare students for a successful career. As once a graduate student myself, I remember being in awe of my advisor and the “power” she has to make an impact on the professional (and personal) lives of students. The university has an opportunity to appreciate the fulfillment this generation of students seek in their careers. Food safety is a prime field for students to make their impact. It’s up to the university to understand that “power” and partner with those professionals, such as Public Health Innovations. The opportunity for fulfillment is not only for students, but for collaborations among universities and food safety professionals, as well.